On this year’s Valentine’s Day, the crews departing from Toronto got a nice surprise. 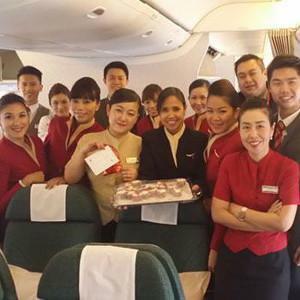 Our joint venture facility once again celebrated its “CLS Loves its customer day,” during which scrumptious chocolates and cupcakes were offered to airline crews. And the gesture was much appreciated, as evidenced by the positive feedback our Toronto management received. No matter where you celebrate the holidays – you might be in for a real treat.